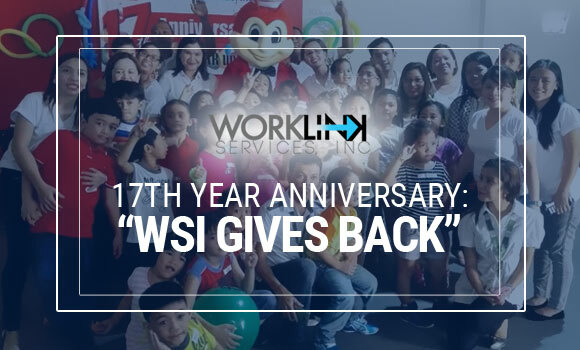 WSI 17th Year Anniversary: "WSI GIVES BACK" | Worklink Services Inc.
WSI celebrated its 17th year anniversary with the theme “WSI GIVES BACK”. Tapping its Corporate Social Responsibility, WSI held an afternoon treat for the WSI kids together with the Brgy. 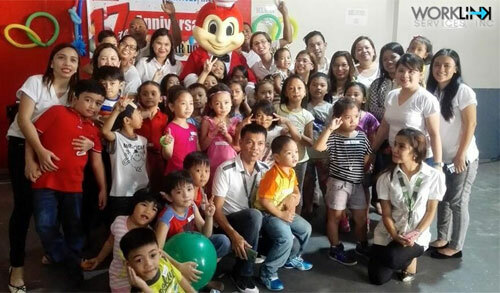 Old Zaniga kids highlighted by Jollibee’s presence. WSI will continue to adopt business practices involving participation of WSI kids and family members and extending initiatives that will benefit society.